Discussion in 'Latest Chapter Discussion' started by SerialBeggar, Jan 12, 2019. On the one hand, I'm glad someone picked this novel up. On the other hand, the MTL editing is terrible! The manga's translation is better. I let it go when the translator was referring to the centipedes' exoskeletons/carapaces/shells as "crusts". But now it's driving me crazy that the translator is persistently referring to weapons as "armour". Delicious centipede crust... mmm crunchy! If only. The translator is using the word "protector" to be armor. Haruki was enticed by the red-haired woman to buy a protector made of monster skin for 50,000 yen. He's going to wear a cursed mask while wielding a dagger... and laughing while fighting... He's a slasher. i kinda wonder if Author got inspiration of MC from Akarin(Yuru Yuri). MC probably cursed to wear those mask. at the end of first arc, his stealth unintentionally level up. he end up wearing mask to confront people or they wont notice him. Finally the terror of the House Centipede is revealed. I'm not the only one getting headache from reading the translation I see. 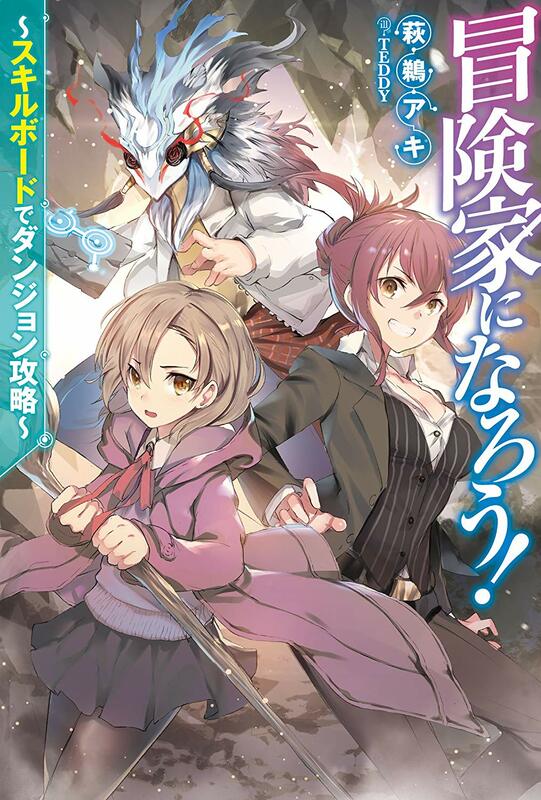 That woman wearing a suit in the cover is it Akane from the third chapter of the manga?